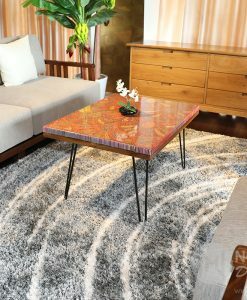 Do you need a luxury unique coffee table for your living space? 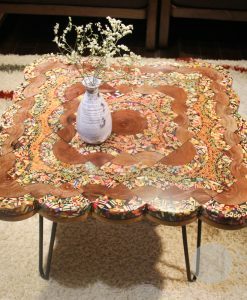 Nguyen Moc’s unique coffee table series will bring you the unexpected surprise. 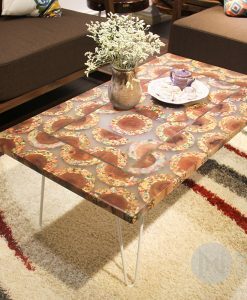 In your lovely house, a coffee table for the living room is indispensable. 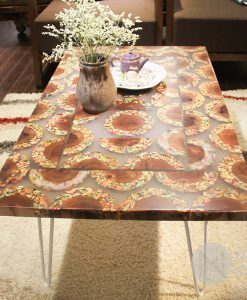 Make the living room space more appealing by the special furniture. 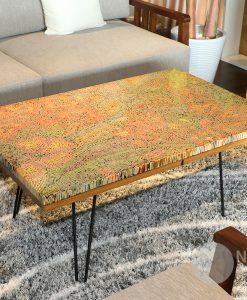 A unique coffee table can be an effective focal point for any living space. 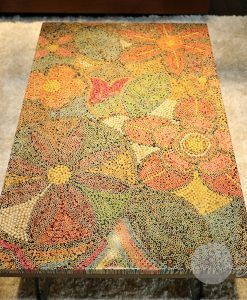 When you are able to select one that is well crafted, it can even inspire the decor around it to a high level. 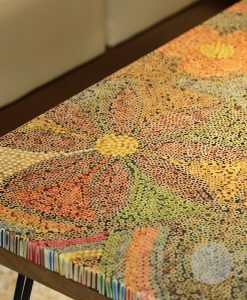 Fascinating design and handcrafted details highlight the masterful processing of the quality Art Colored-Pencil Tables, bringing that finishing touch into your living room. 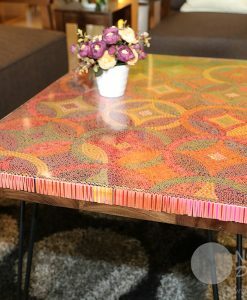 To create the distinctive appearance of your home, Nguyen Décor has made colored-pencil unique coffee tables with new and eye-catching designs. 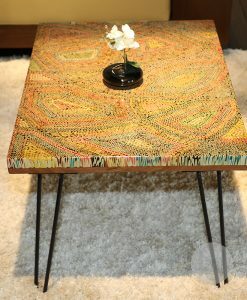 Noteworthy here is the combination of colored pencils that make up unique the unique coffee table for your house. 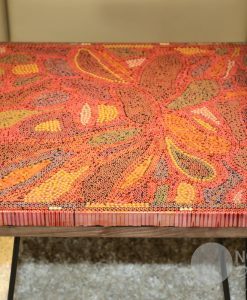 Nguyen Moc’s artists come up with colored pencils unique coffee tables, arranged into fancy shapes that represent balance and harmony. 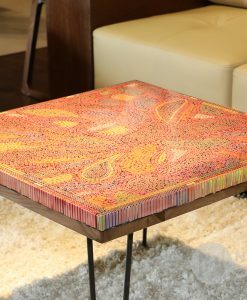 The special features of this colored – pencil unique coffee tables are wonderful like the artworks. 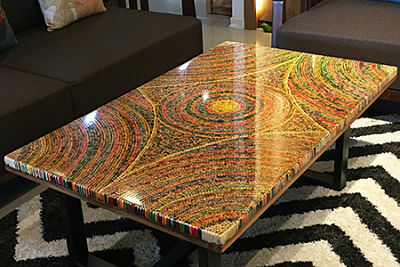 It’s great when your living room owns such unique and innovative products that you should combine a coffee table with a sofa, for the whole family to enjoy tea after work. 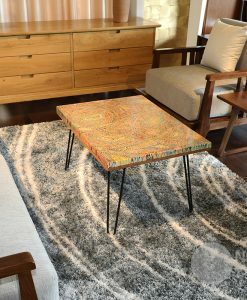 In the living room interior, a unique coffee table and high-grade sofa create a beauty for your house. 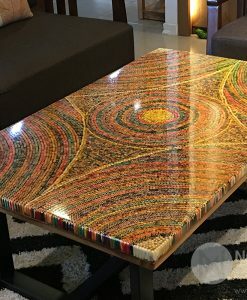 A unique coffee table is outstanding for your living room space. 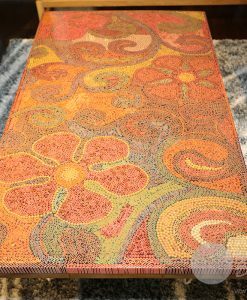 Unique and extraordinary colored - pencil tables to express the aesthetic eye of its owner. 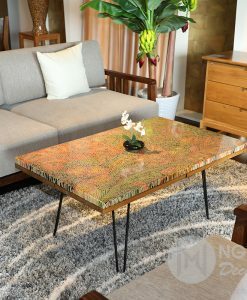 That's why you should choose for your family a sophisticated, unique coffee table. 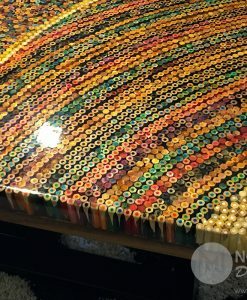 From wood and pencils, combined with epoxy glue to create unique products, Nguyen Moc Décor's colored - pencil unique coffee tables are fit perfectly for interior space of all modern houses. 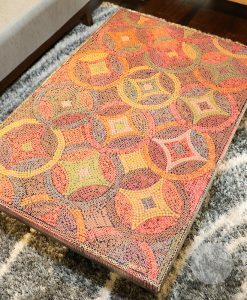 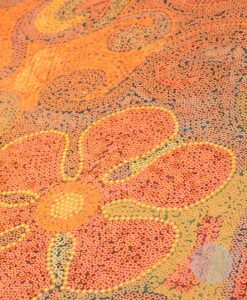 Colored pencils are familiar because they are used widely but only used to paint, is now being used as a material to create coffee tables for life with unusual motifs. 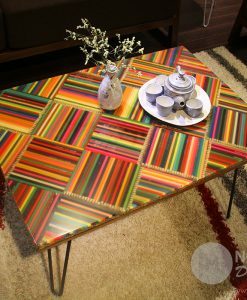 You will be more proud to introduce your table as a artwork of Nguyen Moc Décor, the only table in the market. 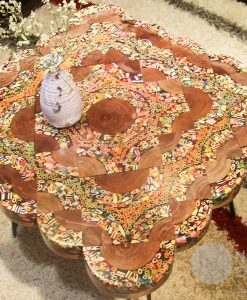 For those who like the extraordinary and creative in life, the unique coffee table will be a very meaningful gift. 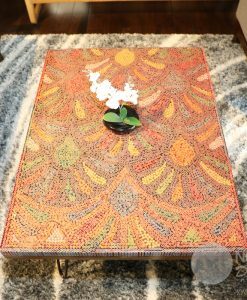 Come to Nguyen Moc Décor to give yourself a nice interior and can be used as gifts for relatives, friends on the occasion of the reception, or as gifts for the boss to celebrate, ... 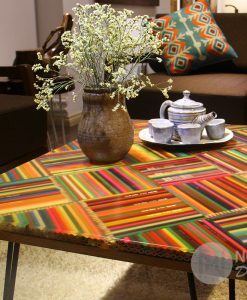 The tables included in Nguyen Moc Décor are high quality and entirely unique, making them a bold choice for anyone looking for something more than a place to put their coffee.